A Buy-to-Let mortgage is used when you want to purchase a rental property. There are many Buy-to-Let lenders that specialise in helping you to buy properties. Lenders evaluate your potential property based upon the value and rental of a property. There are key requirements to secure a Buy-to-Let mortgage. For example, the property you are purchasing must be ‘lettable’ at the time of valuation. If you are not sure whether or not a property you are looking to purchase will meet this requirement, check with your Estate Agent. They can confirm whether the property could be let tomorrow in its current condition. If it can, it is suitable for a Buy-to-Let. How do I apply for a Buy-to-Let mortgage? Make sure that you obtain a copy of your credit report. Your broker will need to see this before keying an application for you as outstanding credit must be declared. The two main agencies used are Experian and Equifax and you can obtain your credit report through them online. Ensure that you have up-to-date proof of income available. If you are employed on a PAYE basis, you will need to gather together your payslips from the last three months, your latest P60 and any payslips showing additional income such as annual bonuses. Alternatively, if you are self-employed or a company director, it is worth contacting your accountant to request your tax calculations from the last two years as well as a copy of the last year’s company accounts. Make a note of any relevant important dates. This could include the dates you moved into and out of residences and dates of employment or self-employment. Your broker will require this information from you and it will need to be accurate, so having a note of these dates in advance will only work to your advantage. We would then strongly recommend speaking to a mortgage broker (this is where we can help you!). 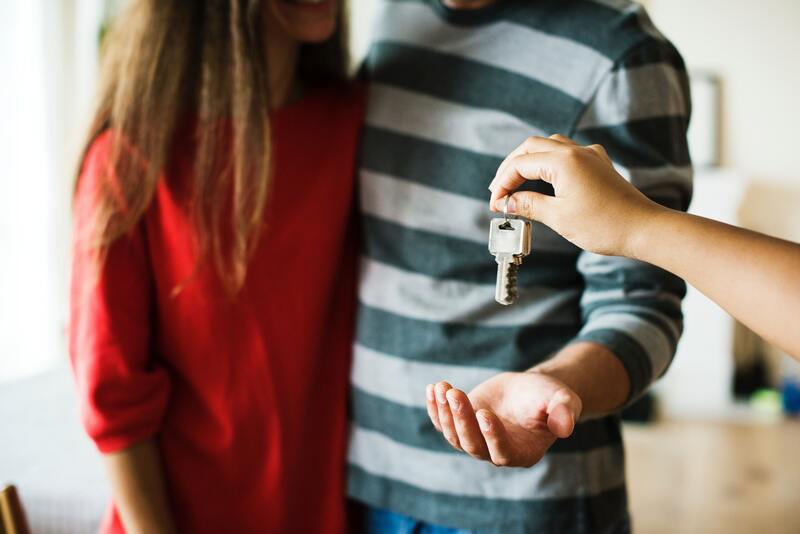 A good mortgage broker will always consider all your potential options and ensure that your property purchase strategy fits with the finance options available to you. At Trafalgar Square, we will also discuss your long-term financial goals with you in order to ensure that everything we do together will ultimately help you to reach these goals. It is worth noting that engaging with a mortgage broker does not have to involve a face-to-face meeting. You can deal with most brokers over the phone and via email, which means you can be more selective about who you want to work with. If you intend to invest regularly in property, make sure you select a broker who has a strong knowledge of the Buy-to-Let investment market. This will aid your long-term success as they will be able to assist you in developing an investment strategy that works for you. What if I already own a Buy-to-Let property? If you already own one or more Buy-to-Let properties, it is still important to regularly take the time to update these documents as you will need them for any further finance requirements. If you are a property investor but are also still employed in a PAYE role, you may not have been asked in the past for self-employed tax calculations for the existing rental income, as you may have relied solely on your employed income. However, more lenders are now asking for these as a standard requirement when looking to confirm your annual income. Consequently, we recommend that you obtain your last two years’ tax calculation summaries and overviews so that you can easily provide details and evidence of your full income position if and when required. As soon as you own 4 properties with a Buy-to-Let mortgage, you become a portfolio landlord. This means that there will be an increase in the restrictive lending criteria that will now apply to you and this will need to be taken into account by your broker when applying for finance on your behalf. Portfolio schedule on an excel spreadsheet. It is vital that you have all of your investment properties on a spreadsheet with up-to-date valuations and the current rental income that is being achieved for each property. Business plan. Most specialist Buy-to-Let lenders will now ask you for a business plan. Although most of these lenders have their own templates that you will need to use to complete the business plan, it is still worth reviewing some of these upfront so that you are prepared and aware of the type of information that you will need to provide when it comes to submitting an application. We are happy to provide you with different templates to review in preparation for submitting Buy-to-Let mortgage applications. Assets and liabilities statement. We would recommend that you keep an up-to-date spreadsheet of your current position and regularly update this. Again, this will ultimately make the mortgage application process quicker and easier for everyone involved. The Buy-to-Let mortgage market is constantly evolving. Recently, we have noted that a number of lenders have been significantly improving their lending criteria which is having a positive impact on the Buy-to-Let property market in the UK. Whether you are a first-time buyer or an experienced portfolio landlord, at Trafalgar Square we are always available to discuss lending requirements and to answer any Buy-to-Let or general mortgage related questions.